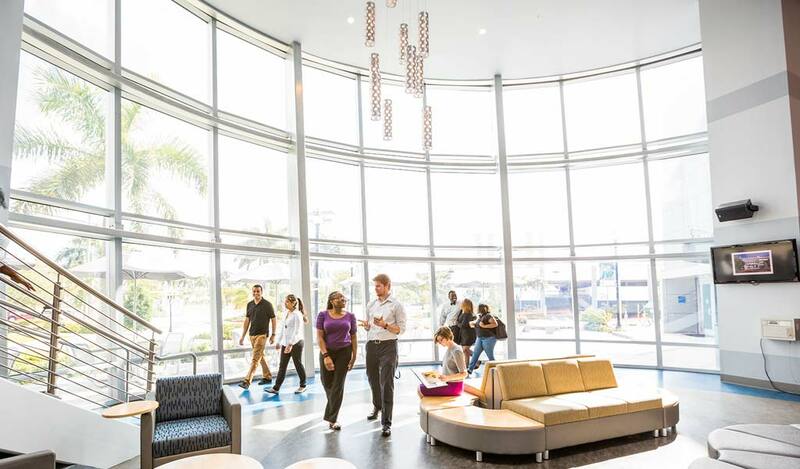 The JWU North Miami campus is conveniently located close to the tourism-rich areas of Fort Lauderdale and Miami, offering a superb setting for a JWU education. 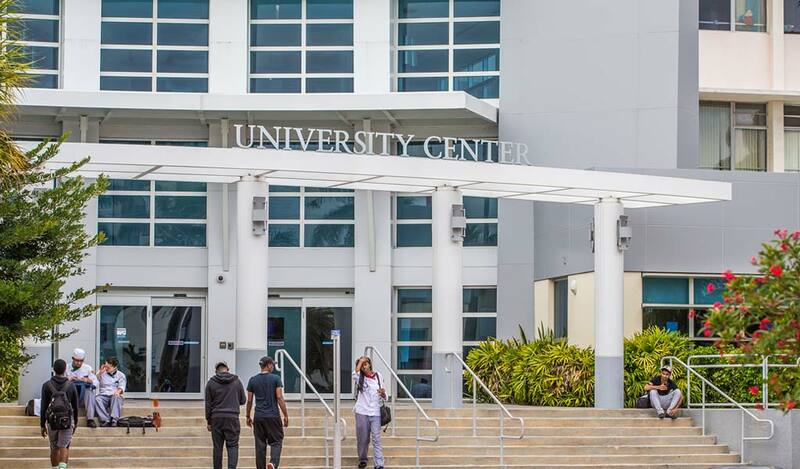 The University Center, located at 1701 NE 127th St., is home to offices for Student Academic & Financial Services, the College of Culinary Arts, Accounting, Purchasing and Campus Dining. All offices are located on the first floor. This building is also home to lab and classroom space for the College of Culinary Arts and The Mix, the campus' dining center. 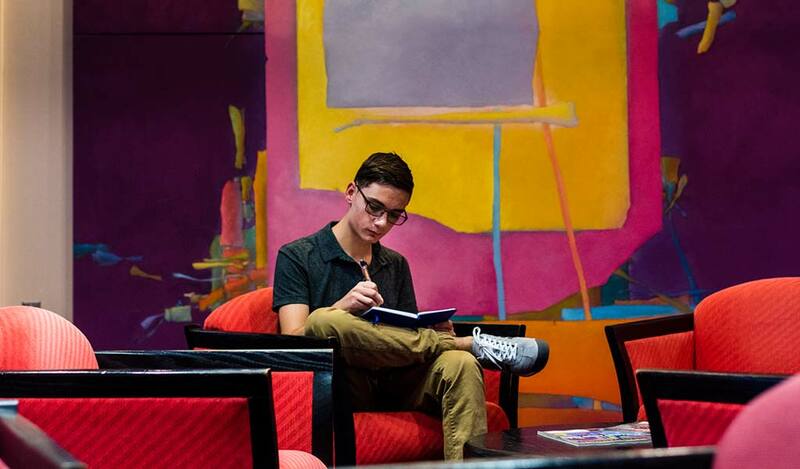 The top 3 floors of the building are home to Flamingo Hall, a residence hall primarily for first-year students. The Academic & Student Center, located at 12900 NE 17th Ave., houses classes for the College of Engineering & Design, College of Business, College of Hospitality Management, and College of Arts & Sciences, as well as several administrative and student service offices. The first floor is home to computer labs, Experiential Education & Career Services, the e-lab, and the bookstore. The second floor is home to classrooms, Facilities Management, Health Services, Counseling Services and the offices for the College of Arts & Sciences. The third floor is home to classrooms, the TLS Faculty Center, the Fashion Merchandising & Retailing Lab, the Academic Technology Station and the English Language Institute. The fourth floor includes classrooms and offices for the College of Business, College of Engineering & Design and College of Hospitality Management. The fifth floor includes administrative offices and meeting space for the President's Office, Student Affairs, Academic Affairs, Communications & Media Relations, administration, Human Resources, Alumni Relations, Admissions, Center for Academic Support and Talent Advancement Program. The library includes a collection of books, journals, magazines, newspapers, full-text databases and other resources to serve the research needs of all Johnson & Wales students. The Wildcat Center is home to a fitness center, gymnasium, and office and meeting space for student organizations. The first floor includes athletic spaces, the gymnasium and an events center. The second floor includes offices for Athletics, New Student Orientation & Campus Events and Residential Life. The third floor contains offices for Student Involvement & Leadership and Student Conduct.